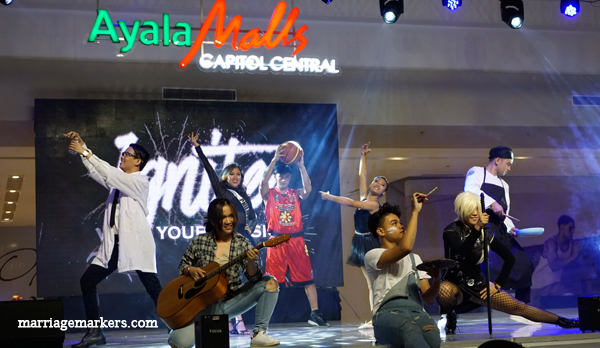 Ayala Malls Capitol Central brings Ignite 2019 to Bacolod City. 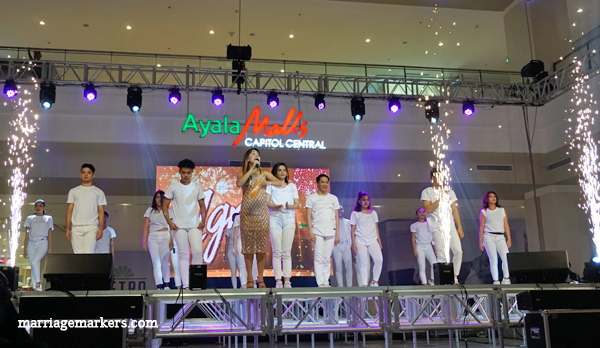 Launched last January 13, this movement inside the mall aims to bring a higher level of malling experience to the City of Smiles. 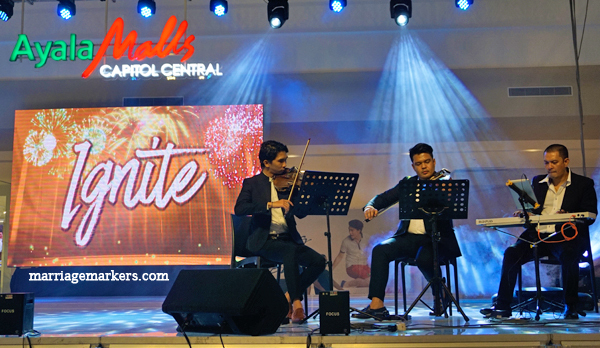 Instrumental music from this talented trio during the launch of Ignite 2019 at the Ayala Malls Capitol Central. 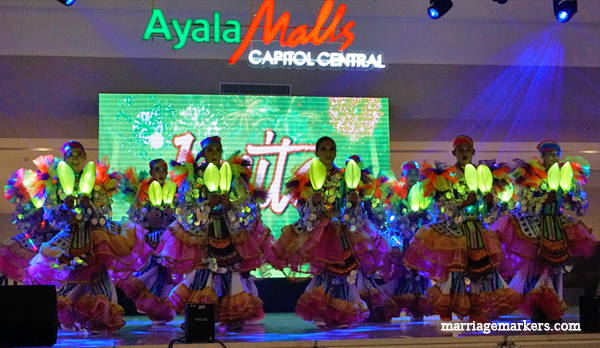 At Ayala Malls Capitol Central, there is something for the whole family to enjoy. Be it shopping, dining, or having fun, they have a wide variety of offerings for the young and young at heart. But more than that, an experiential malling awaits everyone as the mall launches Ignite 2019. It’s a four-pronged celebration of love and life, with different activities that will highlight the four chosen themes. The Ignite launch event was hosted by Dani Dingcong. Located at at the heart of Bacolod, Ayala Malla Capitols Central would like the new year to be the spark of something great. They would like to be a part of everyone’s motivation to ignite from within. There will be four themes will keep the flame alive burning this month. 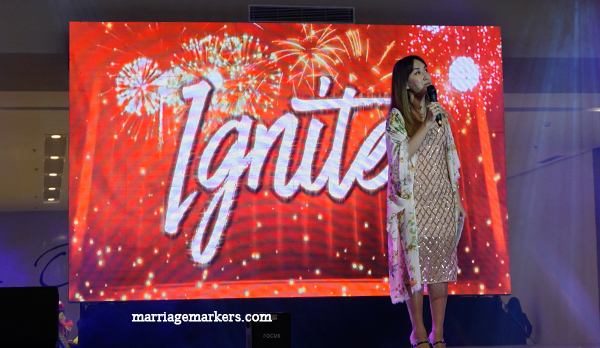 The Ignite movement was opened last January 13 with meaningful song, dance, musical, and theater performances. From 6pm onwards, the facade of Ayala Malls Capitol Central is transformed into a whole new dimension with the Magical Night of Lights show. This will start on January 13 to February 3. The light show repeat every 30 minutes. 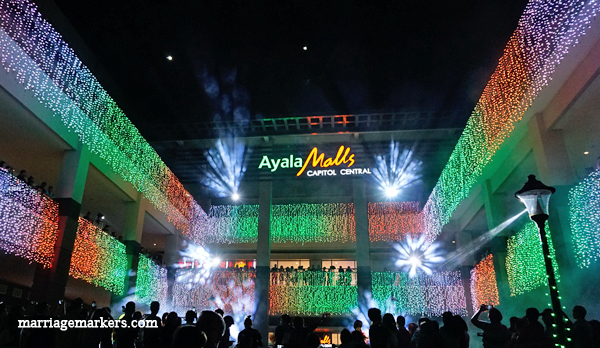 A magical light show happens every night at Ayala Malls Capitol Central from 6pm onwards. Replay happens every 30 minutes, so don’t worry if you don’t catch it the first time. Musical performances and play corners are stationed around the mall everyday for everybody to enjoy. As a lifestyle mall, Ayala Capitol Central would like to be a part of the joys of every Bacolodnon. They want to support everyone’s life goals with a promo that will be launched soon. And some people will get the chance to realize their goals within the year, so stay tuned. Ayala Malls Capitol Central encourages everyone to pursue their life goals. Surely, Ayala Malls Capitol Central has made mall life more exciting here in Bacolod City. Indeed, when you visit here, you get more than a just stroll. You will most likely find great inspiration for your life here.